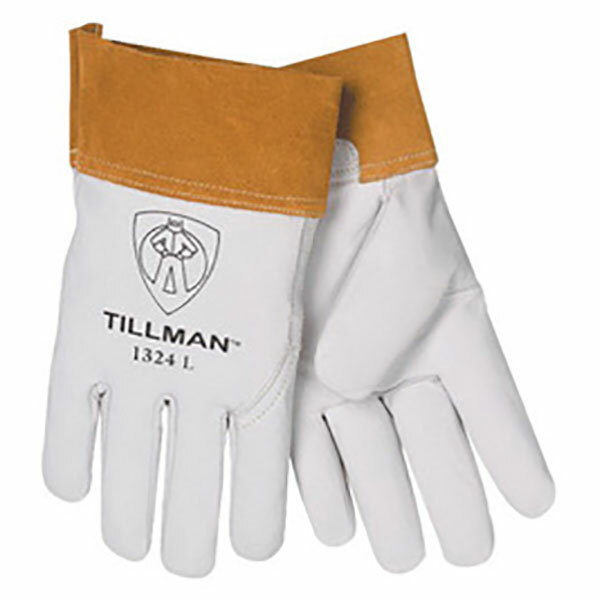 Tillman Large TIG Welders Gloves feature top grain pearl goatskin leather offering great feel and dexterity as well as wearability as they allow wire to pass smoothly from the leather. Gloves feature seamless forefinger rendering enhanced feel and have 4" cuff as well as wing thumb for ease. Gloves have lasting lock stitching with Kevlar thread for extra strength.